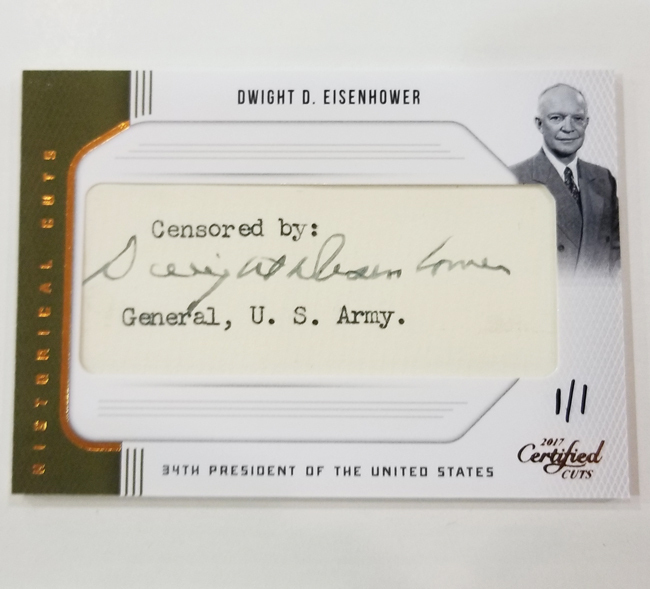 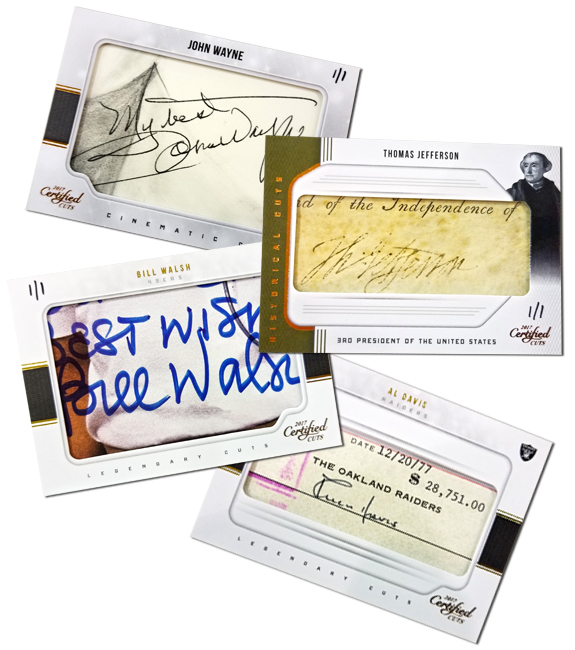 2017 Donruss Certified Cuts Football provides the kind of history-making autograph content that’s seldom seen in the modern trading card marketplace — including an inspiring array of history-soaked cut signatures from NFL legends, United States Presidents, politicians, and entertainers for JUST $134 per box! 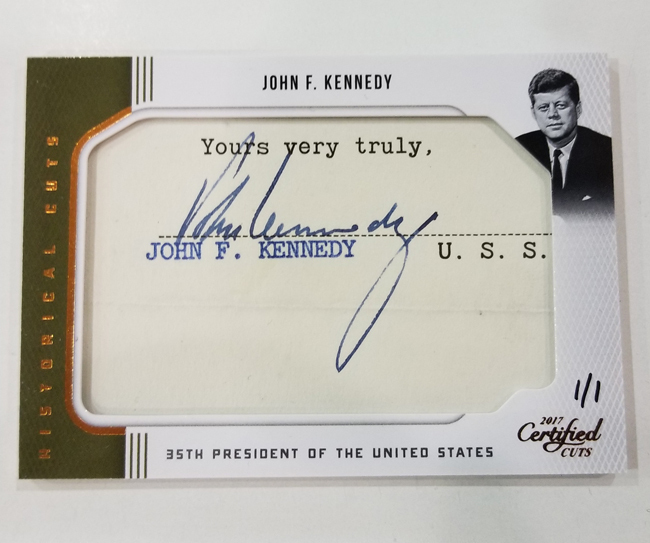 Arriving at Sports Cards Plus, a.k.a. The Super Hit Factory on Wednesday, 2017 Donruss Certified Cuts Football (4 cards per pack, 12 packs per box, 12 boxes per case) will deliver, on average, two autographs and two memorabilia cards. 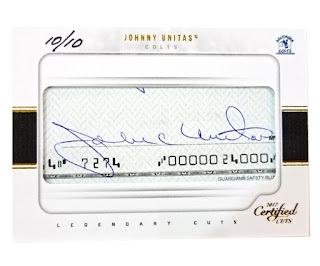 The Cut Signature checklist is nothing short of phenomenal and includes the likes of Walter Payton, Johnny Unitas, Red Grange, Reggie White, Derrick Thomas, Pat Tillman, Jim Thorpe, Bear Bryant, Knute Rockne, Pop Warner, JFK, Thomas Jefferson, John Wayne, Lucille Ball and so many more. 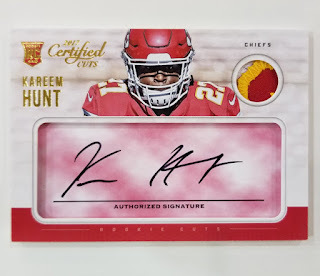 2017 Donruss Certified Cuts Football also manages to deftly capture the undeniable excitement of the modern NFL with an array of inserts and subsets honoring the game’s veteran superstars, exciting rookies and more recent legends and Hall of Famers. 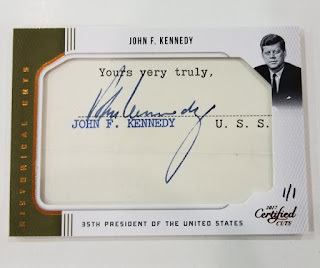 The highlights of the product are many and include . . . 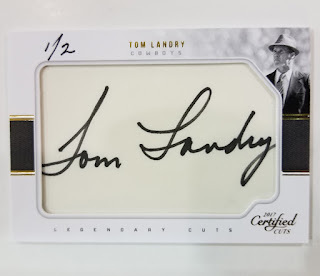 In addition to the aforementioned jaw-dropping list of cut signatures, look for Dual Cuts Booklets from Pat Summerall and John Madden, Curly Lambeau and Vince Lombardi, Tom Landry and Tex Schramm, Art Rooney and Chuck Noll, Walter Payton and George Halas, and many more. 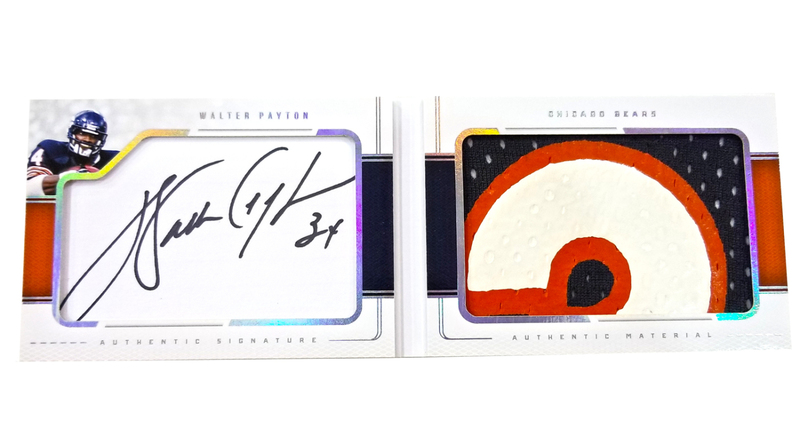 All Retired, Legendary, Historical, Cinematic and Collegiate Cut Signatures will be numbered to 99 or less. All Dual Cut Signature Booklets and Cut Signature Memorabilia Booklets will be 1/1s. Each case will contain at least TWO cut signatures from a combination of the Historical Cuts, Cinematic Cuts, Collegiate Cuts, Dual Cuts Booklets, Cut Memorabilia Booklets and Legendary Cuts signature sets. Only the best current stars made the cut for Modern Cuts; Look for the Retired Cuts insert to feature the likes of Brett Favre, Jerome Bettis, John Elway and more. 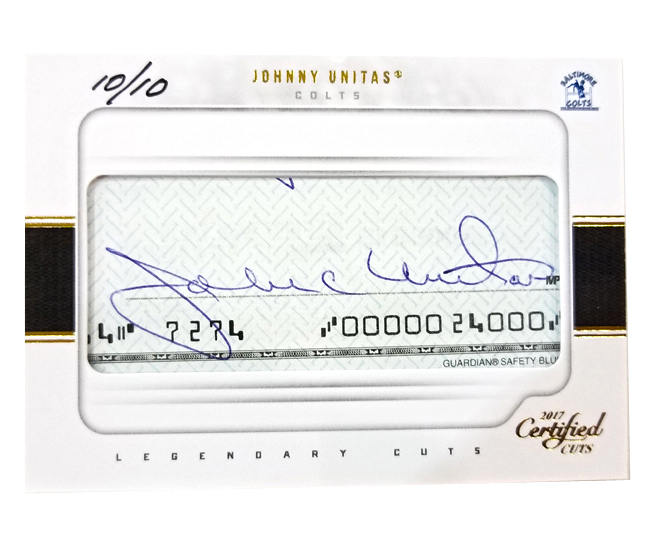 The Legendary Cuts chase certainly lives up to its name with a spectacular lineup that includes Johnny Unitas, Tom Landry, George Halas, Bronko Nagurski, Al Davis, Brian Piccolo and Norm Van Brocklin. 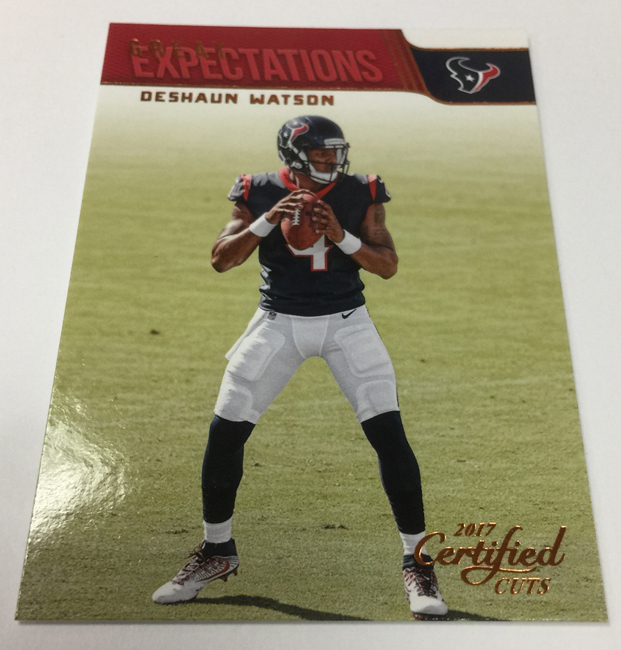 Rookie Cuts is inspired by a classic design and include memorabilia along with simulated check pieces. 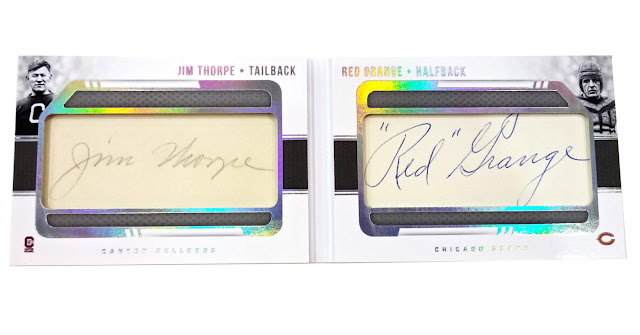 Collectors will find six different parallels, including ink variations. A 100-card base set featuring full-bleed photography; all 50 Legends will be numbered and will include Silver and Gold parallels numbered to as low as 10; top rookies from the 2017 NFL Draft will be included in an autograph parallel to 50-card rookie subset with a Silver parallel numbered to 99 and a Gold parallel numbered to 25. 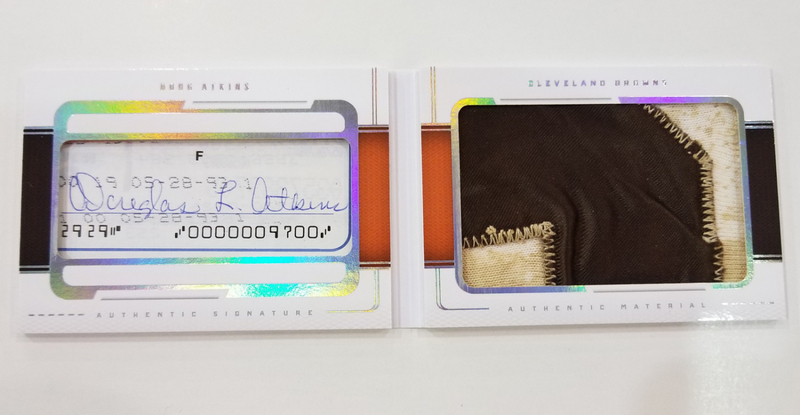 A 240-card set that includes 100 base cards, 50 Legends, 50 Rookies and 40 Rookie Cuts.